IT planners are right to focus their efforts on getting virtualized data centers to operate as efficiently as possible. But, their strategies must include some consideration of what's coming next. IT continues to evolve, and the humble hypervisor is at the root of most of those trends. So how can data center professionals ensure that their infrastructure is flexible and scalable enough to accommodate the next wave of change? 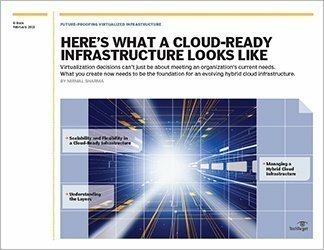 A smart organization will want to be sure it is properly preparing a virtualized infrastructure to capitalize on the opportunities that cloud computing presents. 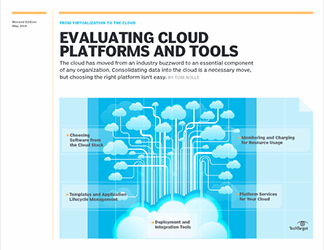 While there are many public/hybrid cloud providers to choose from, many organizations simply are not ready yet to invest heavily in cloud computing. Fortunately, there are steps to ensure that the tools and automated processes built today won't need to be scrapped when organizations move to a hybrid cloud model. 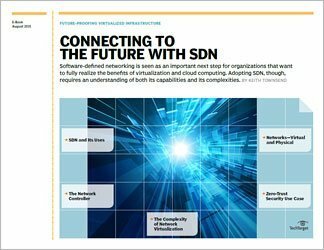 This chapter of "Future-proofing virtualized infrastructure" looks at software-defined networking, and how SDN technologies can fit within a broad virtualization/cloud strategy. 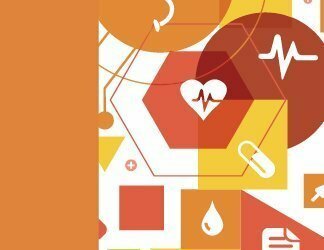 Adopting SDN allows a business to get more out of its virtualization investments, but it is a young technology and adoption will require careful planning. Finding a use case for software-defined networking requires careful consideration of both your current IT environment and your long-term plans.